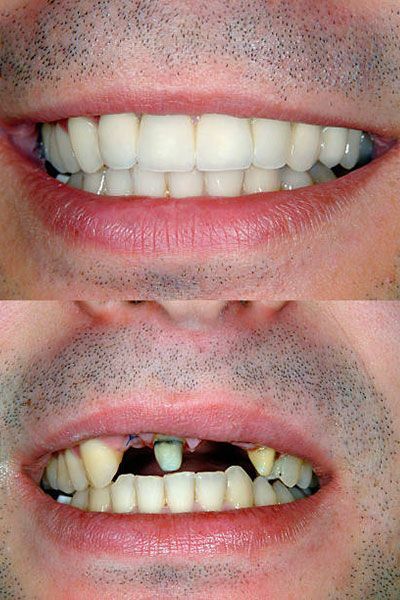 When using this method, the specialist grinds the unhurt teeth on each side of the gap. 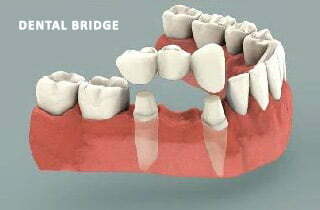 This happens to an extent necessary to fix the bridges safely on the teeth. 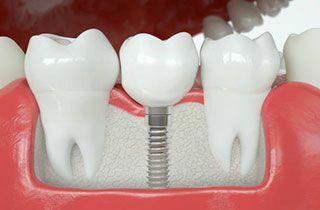 Each of the two units on the ends of the structure functioning as a bridge over the missing teeth is a crown, and these crowns are fitted on the ground tooth abutments. 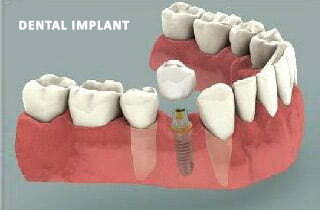 The false teeth, which serve as a replacement for the missing teeth , are fixed between the tooth abutments. 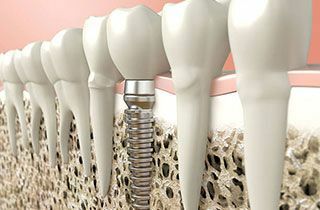 There is also an intermediate solution for replacing two teeth at most. In this case the dentist does not need to grind the unhurt teeth holding the bridge, just makes a but a tiny niche in their surface. The two outer formulas at the ends of the bridge are fixed into these niches as dental inlays .